Shares of Yahoo are up 83% so far this year, but Marissa Mayer has yet to turn the company around. Marissa Mayer has generated lots of buzz for Yahoo during her year and a half as the company's CEO. A new logo, redesigned apps, flashy acquisitions and some Google-like employee perks have in part lifted Yahoo's stock by nearly 130% since Mayer took over in July 2012. But underneath that fresh coat of paint is a core structure that is still rotting. 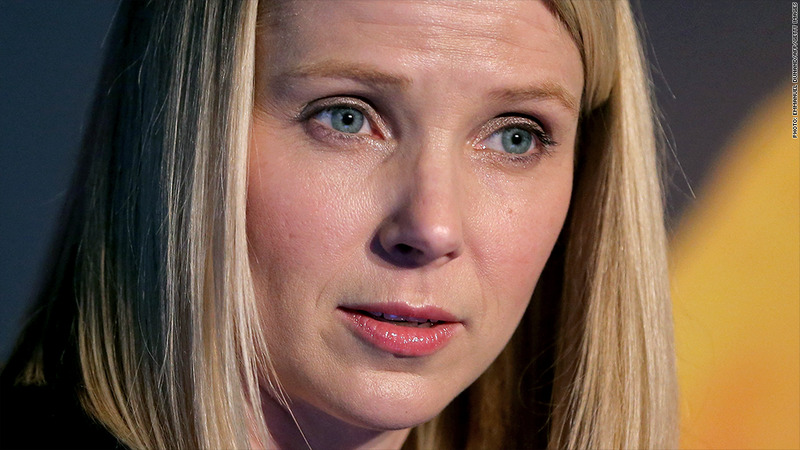 Mayer's tenure has done little to improve Yahoo's fortunes, as the company's core business continues to erode. More than three-quarters of Yahoo's revenue comes from search and "display" ads (banners and in-video ads), but both businesses are struggling. Sales from both types of ads have fallen every quarter this year. Overall, Yahoo's revenue has been flat for the past three years. So why is Yahoo's stock on a tear? Analysts say the primary reason is Yahoo's (YHOO) large stake in ultra-buzzy Chinese e-commerce giant Alibaba, which is preparing to go public. Last month, Yahoo revealed Alibaba's second-quarter sales jumped a whopping 61% over the year, and net income soared 145%. "I would say right now, the [Yahoo stock value] is 75% Asian assets, 25% Marissa Mayer," said Victor Anthony, analyst at Topeka Capital Markets. S&P Capital IQ analyst Scott Kessler agreed: "[Excitement around Mayer] is the No. 2 driver, but I don't think it's close to the [importance of] those perceptions around Alibaba." That analyst view may sound surprising, given the public celebration of all things Mayer. Just about every decision Mayer makes -- from the length of her own maternity leave to providing Yahoo employees with company iPhones -- grabs attention. That type of buzz is a far cry from the not-so-long ago days when Yahoo was merely an aging Internet portal. "They have a star running the organization, and that makes a difference," Anthony said. It's true that Mayer's appointment as CEO helped inject much-needed excitement into Yahoo, both from a company-culture and press-coverage perspective. She's led stock buybacks and big acquisitions, namely the purchase of popular blog platform Tumblr, that have helped boost the company's profile. But none of those moves have addressed the fact that Google (GOOG) and Facebook (FB) are eating away at Yahoo's once-dominant position in the online display advertising market. Luckily for Mayer, investors have so far been happy to ignore Yahoo's lackluster results while they wait to benefit from Alibaba's IPO. "It seems [investors] are not overly worried, or even concerned at all, about the lacking growth," said Kessler, the S&P Capital analyst. "The facts are the facts on that, but the stock continues to go up." That has given Mayer time to find a solution for Yahoo's future, noted Anthony, the Topeka Capital analyst. "But I still think she's done a tremendous amount, even if the company hasn't turned itself around yet," he added. 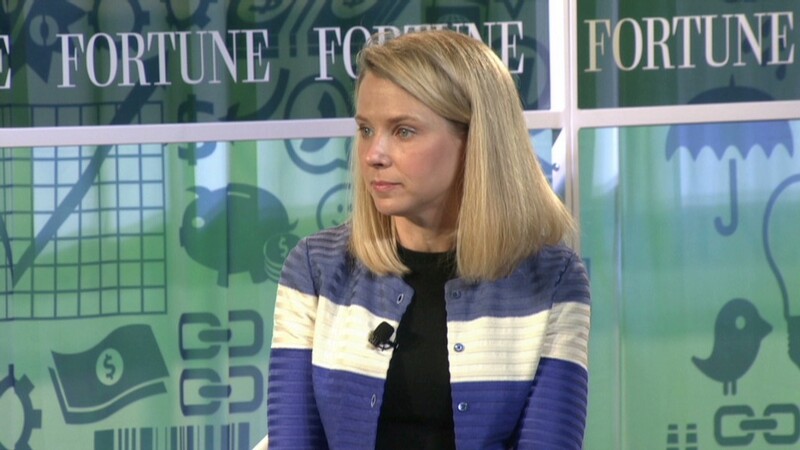 Analysts aren't expecting a sea change at Yahoo anytime soon. "Yahoo remains a work in progress," Anthony said. "The business is stuck in neutral, not getting worse but clearly not getting better. It's clear there's still a lot more work to be done.